The Royal Society has today announced the shortlist for the Royal Society Winton Prize for Science Books 2015, the only major international prize that celebrates science writing for a non-specialist audience. 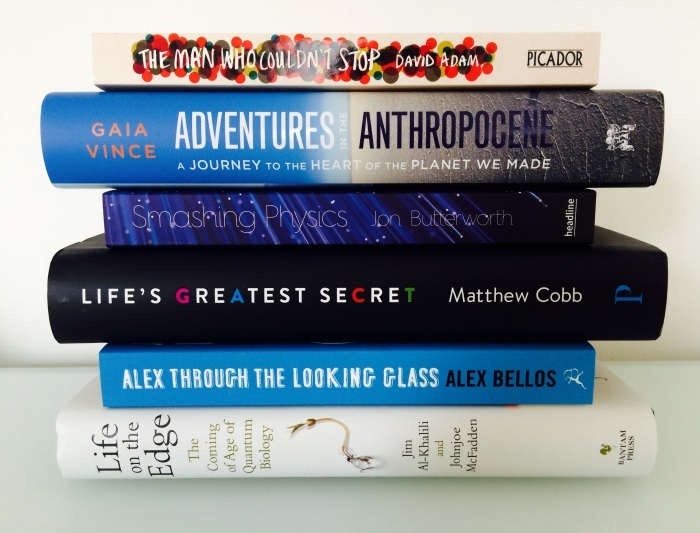 This year’s shortlisted books show the potential for science to garner mass appeal, with both Alex Through the Looking-Glass by Alex Bellos and The Man Who Couldn’t Stop by David Adam appearing on the bestsellers lists, and Life on the Edge by Professors Jim Al-Khalili and Johnjoe McFadden selling over 10,000 copies in hardback. The shortlisted authors are also on the forefront of an increasingly dominant science writing trend – the art of putting the human story front and centre. Matthew Cobb presents the race to crack the genetic code as a page-turning thriller in Life’s Greatest Secret, while Large Hadron Collider physicist Jon Butterworth portrays life in CERN’s underground bunker in Smashing Physics and Gaia Vince narrates her own journey as she circles the globe to research Adventures in the Anthropocene. Meanwhile, David Adam combines science and personal memoir in The Man Who Couldn’t Stop, an exploration of Obsessive Compulsive Disorder which also recounts his own experience as an OCD sufferer. Founded in 1988, (and previously known under different banners including the Aventis Prize and Rhône-Poulenc Prize), the Prize celebrates outstanding popular science books from around the world and is open to authors of science books written for a non-specialist audience. Over the decades it has championed writers such as Stephen Hawking, Jared Diamond, Stephen Jay Gould and Bill Bryson. If Gaia Vince takes the overall Prize, she will be the first female winner in 18 years and the first woman to ever win the Prize solo in its 28-year history. Pat Shipman co-authored winning book The Wisdom of Bones with Alan Walker in 1997. 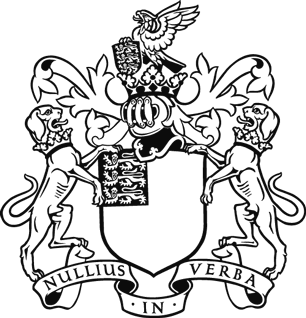 Chair of judges Professor Ian Stewart is a mathematician and Royal Society Fellow, also known for his Science of Discworld series which he co-wrote with Terry Pratchett and Jack Cohen. He is joined on the judging panel by Guardian Books Editor Claire Armitstead, Channel 4 lead anchor Krishnan Guru-Murthy, Electronic Engineer and recipient of a Royal Society University Research Fellowship Dr Jo Shien Ng, science broadcaster and author Dr Adam Rutherford, and award-winning novelist Sarah Waters. The winner will be crowned at an evening ceremony on 24 September and will receive a cheque for £25,000, with £2,500 awarded to each of the five shortlisted authors. Professor Brian Cox OBE, currently the Royal Society’s Professor of Public Engagement in Science, will be hosting the awards.